Living in British Columbia, we are blessed with truly beautiful local produce, and we are committed to getting as much of it into our aisles as possible! These are just a few of the local farms we are thrilled to work with. Athena Organic Farm is a profitable venture and social revolution led by an exceptional team of devoted, high-level, experienced individuals with a passion to reconnect people with their food, with nature and with each other. Standardizing growing methods and creating a scaleable model that can be replicated in other locations, allows Athena to have multiple organic farms growing to their high standards of production, servicing regional food hubs and decreasing their carbon footprint. The property name was inspired by Sleeping Woman Mountain, a nearby range that resembles the body of a woman whose outstretched arm points toward the fields. Athena is the Greek goddess of wisdom – a warrior goddess of agriculture, a defender of the city, and protector of the sacred feminine. Avalon Farm, in the Sproat Lake area of Vancouver Island, is surrounded by beautiful forest, nestled in the last remaining meadows of historic Stirling Farm, started in the 1800’s. The soil, mainly ancient, drained peat bog, is perfect for Blueberries – and since they first planted, their berries have thrived in this pristine environment. They use absolutely no chemical fertilizers, fungicides, pesticides or insecticides. They grow real food, naturally! They love this land and what it produces… Their Berries are CERTIFIED ORGANIC. Delicious and packed with nutrients, the mainly Reka Blueberries, are ripe from early July to mid-August each year. 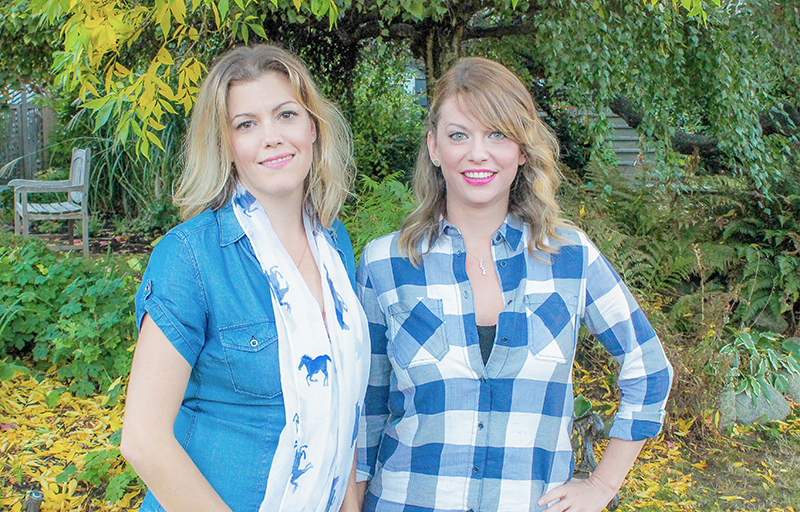 Founders Krystine McInnes and Jenn Lowther believe in puritan organic farming, nothing but love, Mother Nature and pure, organic, non-GMO inputs - they even play high-frequency sound therapy to their plants while they grow! Love in, love out. They are committed to fresh, local, organic, and zero-carbon footprint from seed to sale. Grown Here Farms’ incredible, flavour-packed and nutrient-filled micro greens are a favourite of ours and so is their organic loose-leaf teas, preserves (perfect for wine and cheese! ), and of course their gorgeous organic squash, carrots, and beets. Yum! Bruce and Kathy lived in Vancouver until they moved to Cawston to work the land that Bruce’s grandparents had worked. Fourth generation Harkers are now busy harvesting heirloom tomatoes, hot peppers, specialty squash and bins and bins of apples and pears. The Harker’s coordinate the packing and handling of tree fruit for many other area farmers, who pack, market and ship to markets in Canada and the U.S. in their “Harvest Moon” boxes. Troy and Sara Harker now run the day-to-day operations overseeing the farm and the wholesale operations. They work with many of the growers in the Similkameen and Okanagan insuring high quality and superb service with everything they do. Nanoose Edibles takes pride in farming organically to the highest stadard. At Nanoose Edibles they use quality compost, cover crops (such as a nitrogen-rich alfalfa) and crop rotation to nourish soil naturally and allow it to rest and regenerate. Plants grown in healthy soil are better able to feed and protect themselves from pests and disease, which means they won't require heavy applications of fertilizers and pesticides. The expression "Feed the soil, not the plant" is a familiar refrain among organic farmers. They are careful about how they store and compost animal wastes in order to safeguard the air and water systems. Organic farmers also promote biodiversity, by growing a variety of crops rather than one single crop. Through all of these methods, organic farmers prevent soil erosion, conserve energy and help protect local wildlife, stream banks and watersheds. Origin Organic Farms Inc. is the biggest organic greenhouse vegetable producer in North America. With 42 acres of Certified Organic greenhouse vegetable production in three of the sunniest spots on the lower mainland, they are able to produce approximately 15 million pounds of top quality tomatoes, peppers and cucumbers throughout the year, serving markets across North America. They fund advanced research and development programs with fertilizers, soil media and growing methods. Origin-O maintains unique biological controls in their greenhouses, with nests for predatory wasps and bees, and an abundance of ladybugs. They even grow plants that aphids target to keep their ladybug population happy. Origin-O has also developed their own unique in-soil growing concept that uses a proprietary soil mix, augmented with compost from all their plant waste, and organic fertilizers processed from fully composted manures. Evergreen Herbs is a family run farm in the heart of Surrey B.C., started in 1996, offering fresh herbs, gourmet lettuce, baby vegetable and edible flowers. Roots Organic was created as the organically grown section of their farm to accommodate the ever growing demand. Their entire staff puts food safety and quality at the top of our priority list at all times. They are committed to constant improvement, and innovation to keep on providing the very best local produce possible. Trevor and Debbie Evans have been farming organically in the Similkameen Valley since 1978. Now the Similkameen Valley is considered the organic growing capital of Canada, being home to more organic farmers than any other small region in the country. After more than a decade running a farmer run packing house, a few years ago Trevor and Debbie decided to step back to focus on their own Sundance Farms. Though tomatoes were their first love, Trevor and Debbie began growing tree fruits in the early 1980’s and now cultivate thirteen varieties of apples, six types of pears as well as Apricots and Peaches. From his days helping found SOOPA, one of BC’s organic certifiers, to mentoring the folks who work the farm with him, Trevor and Debbie and their family are committed to fostering organics in their home province. We also work closely with Discovery Organics, a wonderful B.C. based distributor who we trust to find us top quality, organic produce gown with the highest environmental and ethical standards, both in the province and internationally. Discovery Organics: "We’ve helped farmers develop cooperative shipping docks, uniform packaging, proper seed selection, crop contracts and marketing plans. We work hard to build trust with our grower partners and we treat the fruits of their labour with respect. Our hearts still belong to the small scale growers, family farms and agricultural co-ops. We have visited dozens of farms across B.C., working with growers to see them move to larger and more financially sustainable operations. We feel encouraged by the impressive increase in consumer demand for certified organic fruit and vegetables. We also acknowledge that we can’t grow our own food year-round. Even more so now, as our climate changes, no harvest is a safe bet. Over the years, we have extended our relationships with small scale farmers to include farms down the Pacific Coast, through Washington, Oregon and California, then on to Mexico and South America. Together, this network of growers keep us all fed, year round, and for this we are grateful."